Apply directly to Shooting Patches, or to bullets with lubing grooves. Wonder Lube is made of natural products that have been used for hundreds of years. Wonder Lube’s scent is a natural scent that does not alert nature to man’s presence, an added benefit that you will not find in man-made chemical lubes. 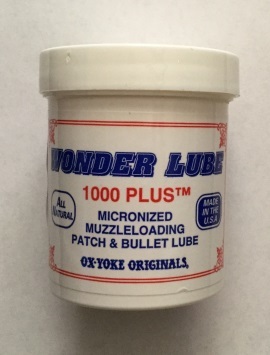 Wonder Lube enables the Shooter consecutive shots without cleaning between each shot. Each load will load with ease, and your accuracy will be consistent. One of the most appealing aspects of Wonder Lube is its protection qualities against corrosion.